The Second Green Economy Congress (GEC) was organized in the Belgrade Chamber of Commerce during 1-3 November 2018. Participants from different countries and sectors listened to the views of economists, innovators, entrepreneurs and decision-makers concerning an alternative vision for global growth and development built around the circular economy. Discussion panels covered: entrepreneurship, public policies, green finance, innovation, green cities/urban development, gender equality, and environmental reporting. Two CSOs organised the GEC - Networked and Public Policy Analysis Group (GAJP). The 12th Freja Forum was held on 9 November 2018 at the National Assembly in Belgrade. It discussed equal opportunities, democracy and the challenges of the digital future, and special focus was given to gender equality and women’s empowerment. The meeting was organized by the Association of Business Women in Serbia. Since 1995, Freja Forum has been working on capacity building to strengthen social structures through the development of non-profit organisations in the Western Balkans, Turkey and Sweden. In 2017, Freja Forum was nominated for the Nobel Peace Prize. On 19 November 2018, the conference Leadership – transformation of society took place in Belgrade, organized by Adria Media Group. The event involved representatives from the ministries for agriculture and forestry, environment, regional development and EU integration, as well as from the private and civil sectors. Issues discussed related to sustainable development, circular economy, resource management, and approximation with the EU acquis, as well as organic and food waste management. 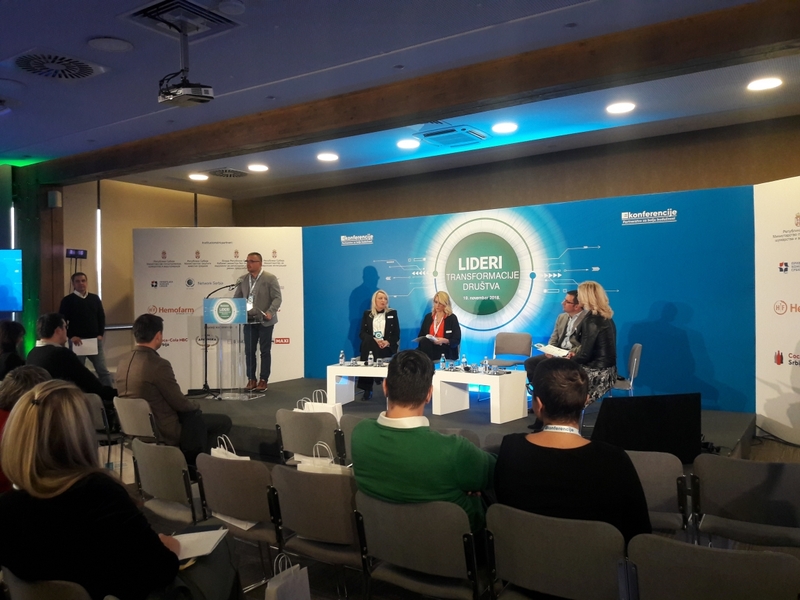 A Climate Smart Urban Development Pitching Event was organized on 28 November 2018 by Belgrade Venture Forum. At the event, 12 individuals and teams (from businesses, NGOs and academic/scientific institutions) presented innovative technological solutions or business models covering renewable energy, energy efficiency, waste management, new materials, e-mobility and smart infrastructure. The twelve ideas were developed within a Climate Incubator/Accelerator established as a result of a project supported by the Serbian Ministry of Environmental Protection, UNDP and GEF. Innovation Talk 2018 was organized in Belgrade on 29 November 2018 by Color Media Communications with support from the Serbian Ministry of Innovation and Technological Development. Speakers at this regional conference from Serbia, the Western Balkans and EU countries contributed to four panels: Smart City; Technologies of the Future; Industry 4.0; and Corporations and Innovations. An important aspect of the conference was how technological innovations can contribute to sustainable economic, social and environmental progress.